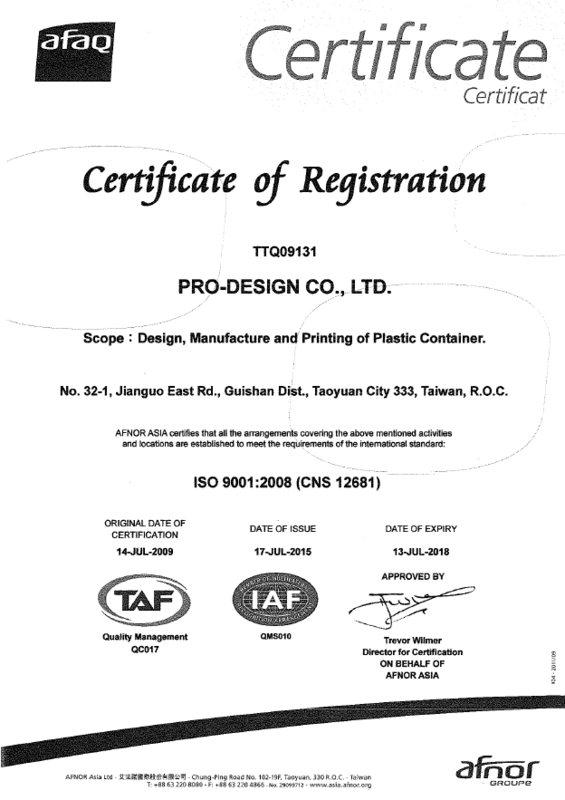 Company Overview - PRO-DESIGN CO., LTD.
Pro-Design Co., Ltd. was established in Taipei, Taiwan in 1989 as a plastic buckets and pails manufacturer. 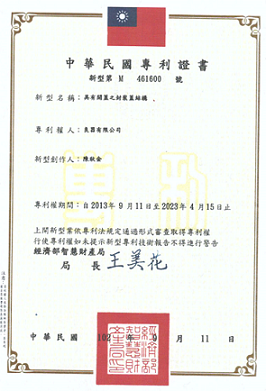 In 2001, Pro-Design expanded into China by establishing Jiangsu Pro-Design Co., Ltd in Kunshan, part of northern China. In 2006, our international sales team was formalized, and Dongguan Pro-Design Co., Ltd was established in the same year in southern China. 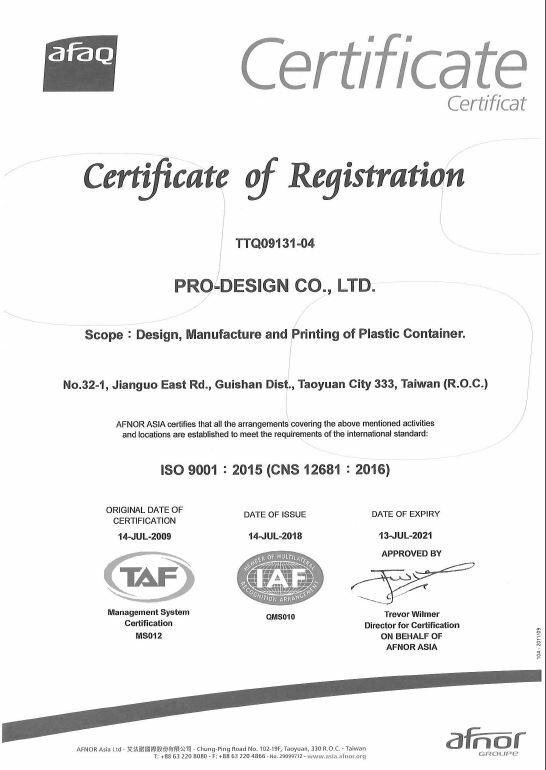 Our Commitment At Pro-Design Group, our commitment is to provide the highest quality plastic packaging products and the best customer service. Our products are designed for easy transportation, storage, and ease of use. 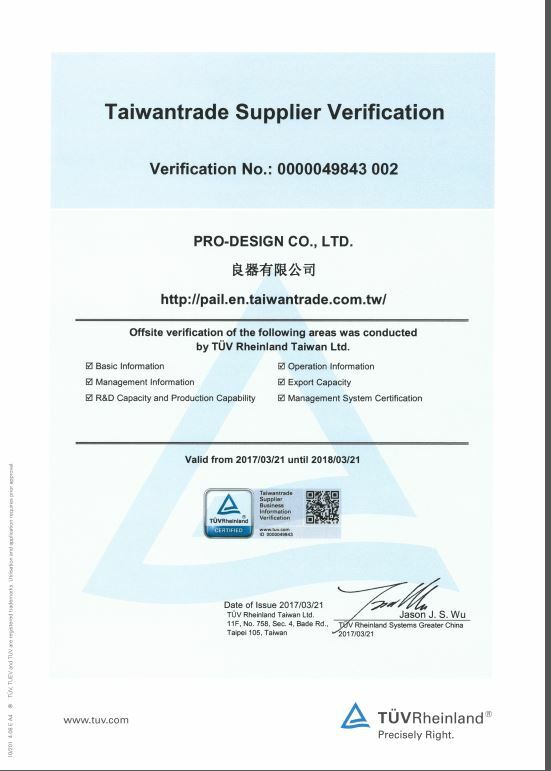 Our company name literally means "fine product" in Chinese. Our Core Values "Integrity, Quality, and Customers" are our three core values at Pro-Design. Our goal is to create long-term win-win customer relationships by pursuing customer satisfaction, innovative product design, and strong employee engagement. Pro-Design Group strives for perpetual improvements in quality. Our R&D department continues to push the design limits of our plastic containers to make our products more user- and environmentally-friendly. User-friendliness 1. 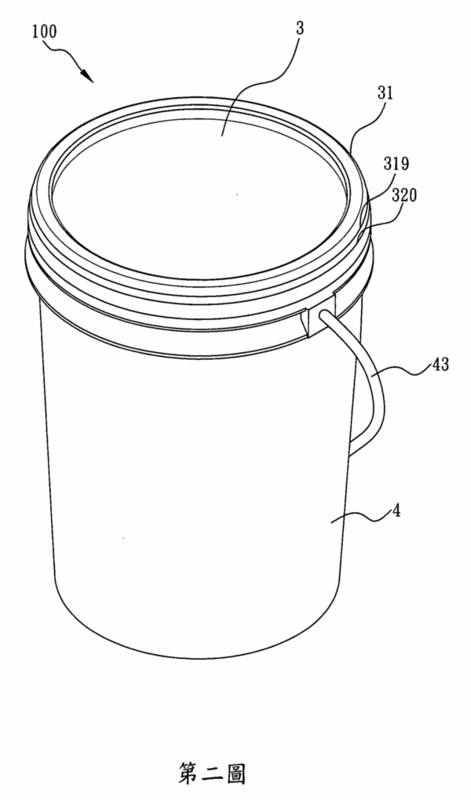 Our containers are designed for effortless opening and resealing, extending product life. 2. Our containers are designed to be robust in storage, stacking, and shipping. 3. We are dedicated to developing greater impact-resistance and durability, leak-proof body and seals, and material-saving structural designs. Environmental-friendliness Pro-Design Group offers competitive prices without sacrificing any functionality or quality. 1. We never cease in our pursuit for more economical product designs. 2. By improving the technology and adjusting operating parameters, Pro Design continues to increase production efficiency and an already high yield rate. 3. Economies of scale are achieved through our large market share. Our customers consequently receive much more attractive prices and achieve increased competitiveness in the market. Our Business Philosophy Our business philosophy can be described by the following concepts: "Sincerity", "Diligence", "Wisdom", "Rationality", and "Innovation." 1. Sincerity is the attitude held by Pro-Design employees, ensuring the company is operated by responsible, sincere, and trustworthy individuals in pursuit of our long-term business sustainability. 2. Diligence is expected from every Pro-Design employee. We encourage hard work and self-inspired action to improve collective performance. Employees are held accountable for the achievement of their personal goals, and Pro-Design helps employees align individual aspirations with corporate goals. 3. Wisdom lies in employee conscientiousness, ensuring resources are not wasted, and that correct operating procedures are carried out to achieve better efficiency and results without compromising safety. 4. Rational and critical thinking is our common language. To stay innovative and maintain a lively work environment, Pro-Design encourages its employees to engage with their supervisors. Customers therefore receive the most competitive quotes from Pro-Design. Unreasonable mark-up is never acceptable in our sales department. 5. Innovation is our never-ending goal. New ideas, new concepts, and new products are always being introduced within our company to maintain innovation in R&D, manufacturing processes, and throughout the company. 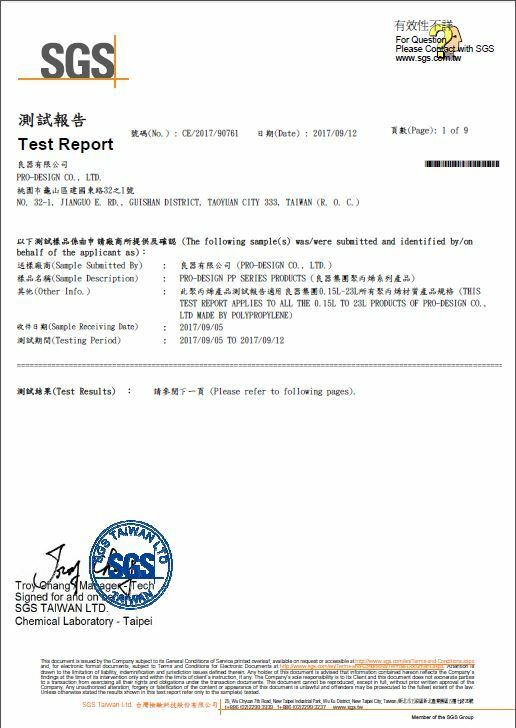 The PP material is included all of 0.15L~23L product model. 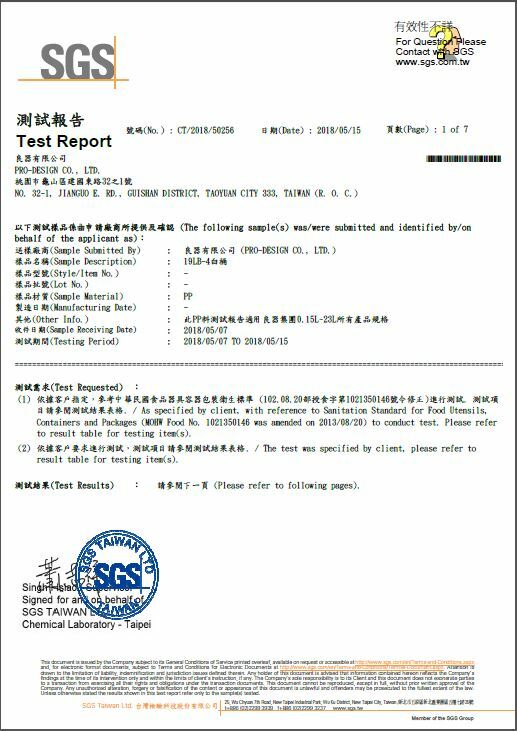 Offsite verification of the following areas was conducted by TUV Rheinland Taiwan Ltd. The LDPE material is included all of 0.15L~23L product model. The HDPE material is included all of 0.15L~23L product model. 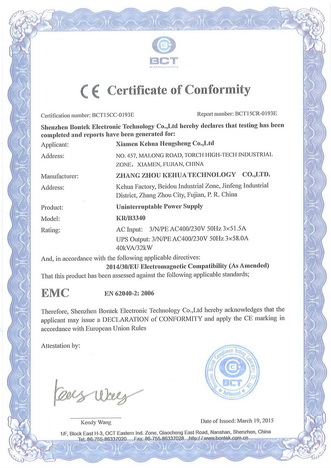 Shenzhen Bontck Electronic Technlogy Co.,Ltd. 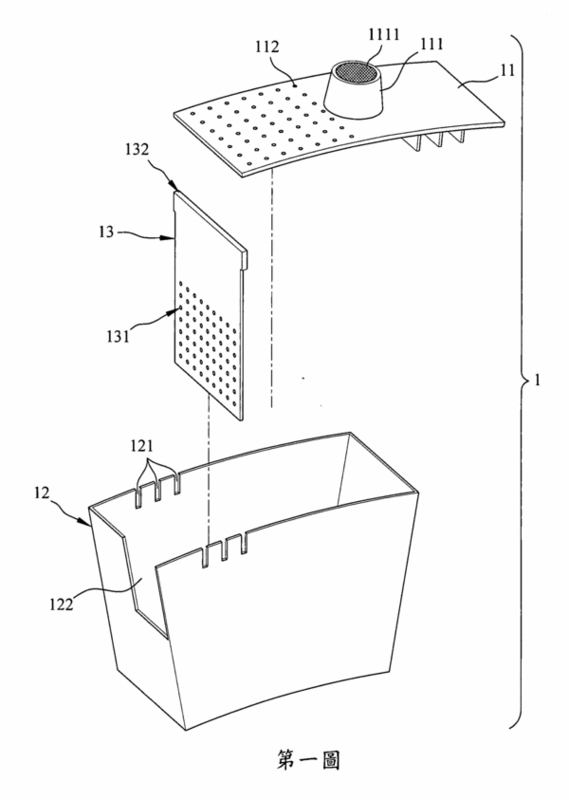 Design ,Manufacture and Printing of Plastic Container.